Ozark is also known as: Christian County / Ozark city. Zip codes in the city: 65721. Some of the notable people born here have been: (george blackburn (baseball)). 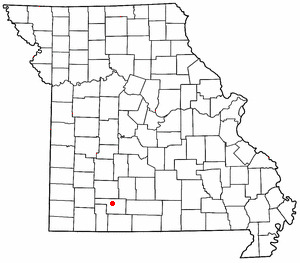 Ozark, incorporated in 1890, is a city in Christian County, Missouri, United States. The population was 17,820 at the 2010 census. It is the county seat of Christian County. Ozark is part of the Springfield, Missouri Metropolitan Area, and is centered along a business loop of U.S. Route 65, where it intersects with Missouri Route 14. It is south of Springfield and north of Branson. It was revealed on October 2nd, 2018 that Bonnie Louise Powell (Vanwinkle) passed on in Ozark, Missouri. Ms. Powell was 66 years old. Send flowers to express your sympathy and honor Bonnie Louise's life. It was reported by Unterrified Democrat on March 21st, 2018 that Rita C Backues (Kornberger) passed on in Ozark, Missouri. Ms. Backues was 85 years old. Send flowers to share your condolences and honor Rita C's life. It was revealed by The Villages Daily Sun on January 19th, 2018 that Judith Whittington Daves passed away in The Villages, Florida. Daves was 67 years old and was born in Ozark, MO. Send flowers to express your sympathy and honor Judith Whittington's life. It was revealed on August 27th, 2017 that James LeRoy Finn perished in Ozark, Missouri. Finn was 63 years old. Send flowers to express your sympathy and honor James LeRoy's life. It was written on June 27th, 2017 that Leah Fern Campbell (Crutchfield) passed away in Ozark, Missouri. Ms. Campbell was 97 years old. Send flowers to express your sorrow and honor Leah Fern's life. It was revealed on April 16th, 2017 that Robert "Bob" Speed died in Ozark, Missouri. Speed was 89 years old and was born in Des Moines, IA. Send flowers to share your condolences and honor Robert "Bob"'s life. It was disclosed by The News Tribune on July 10th, 2016 that Larry David Kyger perished in Auburn, Washington. Kyger was 63 years old and was born in Ozark, MO. Send flowers to share your condolences and honor Larry David's life. It was revealed by The News Tribune on July 10th, 2016 that Larry David Kyger perished in Auburn, Washington. Kyger was 63 years old and was born in Ozark, MO. Send flowers to share your condolences and honor Larry David's life. It was reported on June 3rd, 2016 that Joyann Louise "Joy" Rohde (Robbins) passed on in Ozark, Missouri. Ms. Rohde was 85 years old and was born in Miller, NE. Send flowers to express your sorrow and honor Joyann Louise "Joy"'s life. It was written on August 27th, 2015 that Larry Dean Countryman perished in Ozark, Missouri. Countryman was 76 years old and was born in Ebson, KS. Send flowers to express your sympathy and honor Larry Dean's life. According to the United States Census Bureau, the city has a total area of 7.6 square miles (19.6 km²), of which, 7.6 square miles (19.6 km²) of it is land and 0.04 square miles (0.1 km²) of it (0.40%) is water. Ozark is located at (37.027111, -93.209572) . . . .
(Lamar, MO) -- Flags will be flying at half ... The soldier leaves behind his wife and a one-month-old baby girl. Reid's funeral is set for this Saturday at the Daniel Funeral Home in Lamar. He fell in love with the Ozarks and the home he bought on Bryant Creek ... Arrangements are by Clinkingbeard Funeral Home, Gainesville, Mo. Listing all funeral homes in Ozark, Missouri so you can easily send flowers to any location (same day delivery) or find any funeral service.